Naipes Argentinos La Partida y Aparcero are exclusive, registered designs published by Obsequios Empresarios Argentinos as an attractive promotional gift for companies. 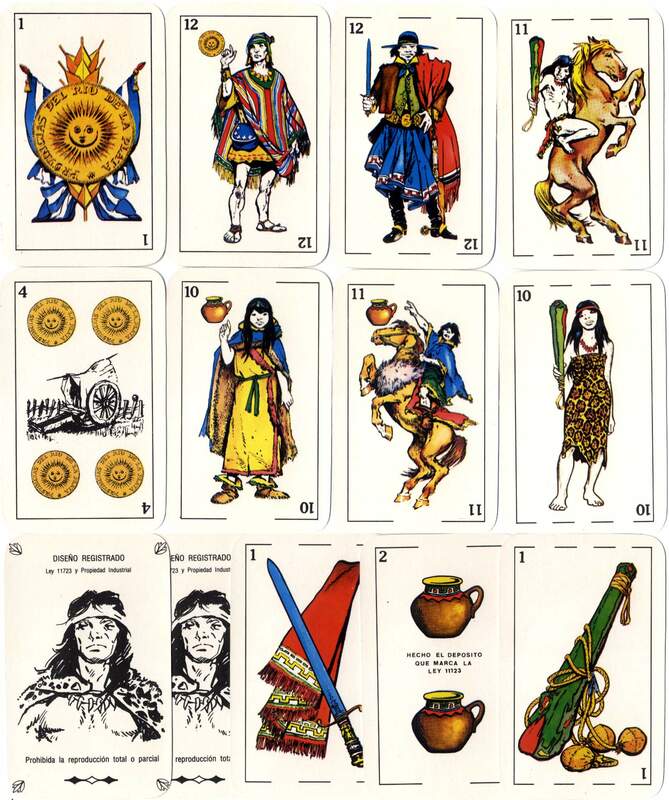 Packs are therefore mostly found with advertising on the reverse, and are accompanied by a leaflet explaining the source of the designs by Juan Arancio. 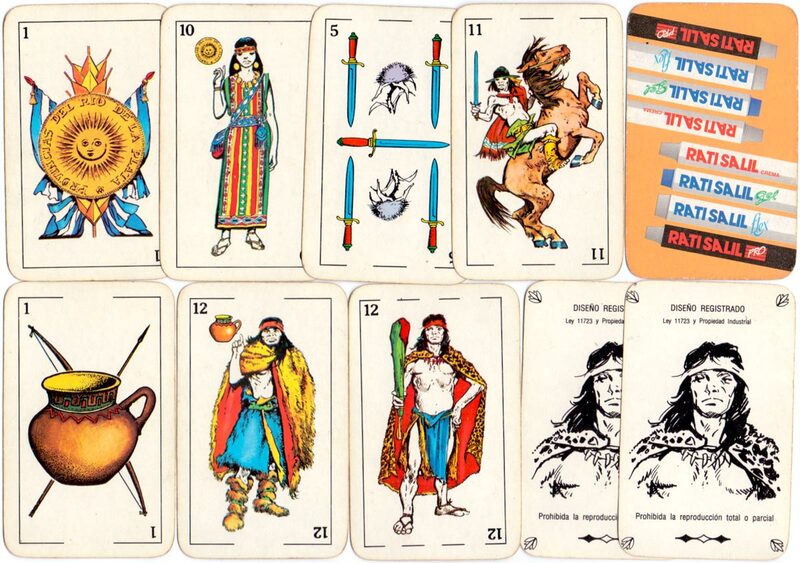 The court cards depict indigenous South American tribes which are integral to Argentinian national identity. Currently packs are printed by Gráfica 2001 but in the past other printers have been involved. 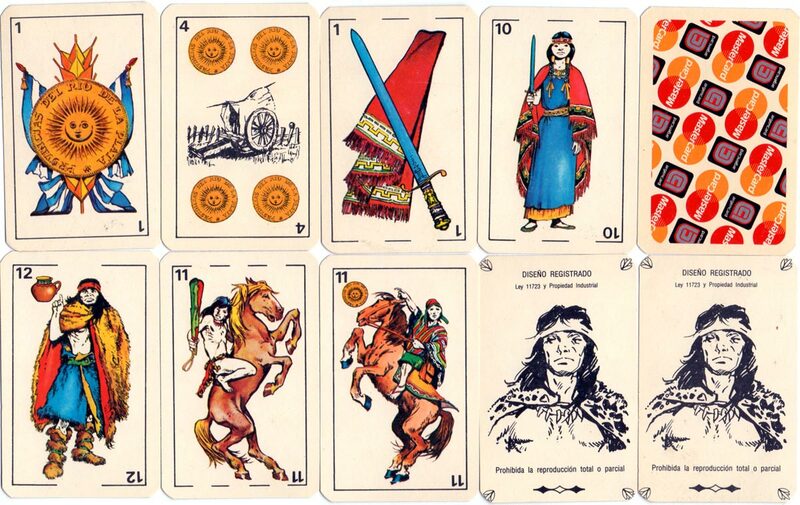 Above: cards from a modern edition of Naipes Argentinos 'La Partida' y 'Aparcero' published by Obsequios Empresarios Argentinos, Santa Fe, printed by Gráfica 2001. 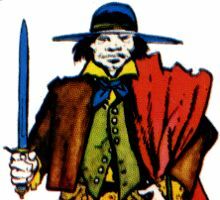 In earlier editions the typeface used for the indexes was a sans serif, whereas in this example it is a seriffed typeface. 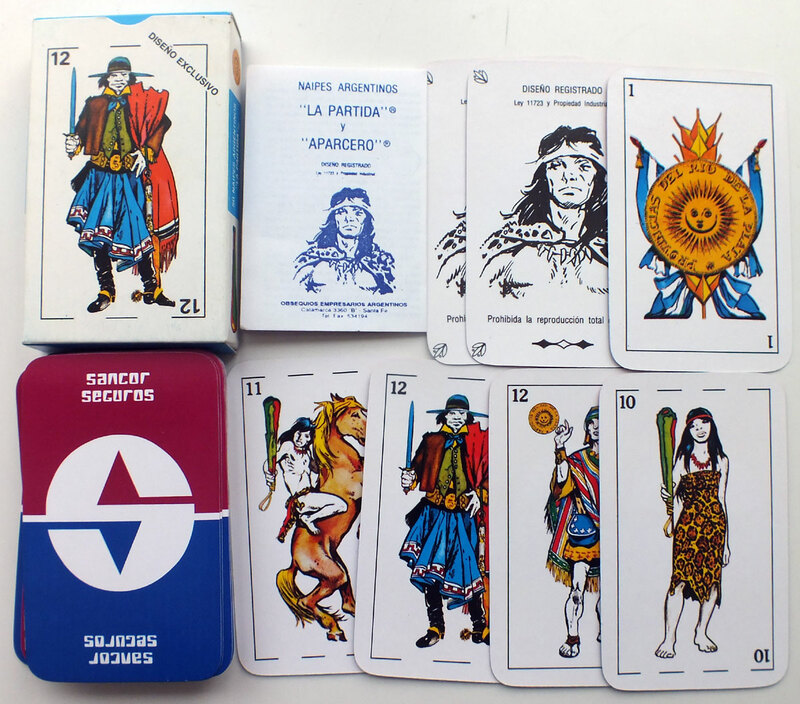 Above: Naipes Argentinos 'La Partida' y 'Aparcero' published by Obsequios Empresarios Argentinos, Santa Fe for Mastercard, 1990. Above: Naipes Argentinos 'La Partida' y 'Aparcero' published by Obsequios Empresarios Argentinos, Santa Fe for Rati Salil analgesic and anti-inflammatory cream, 2007. 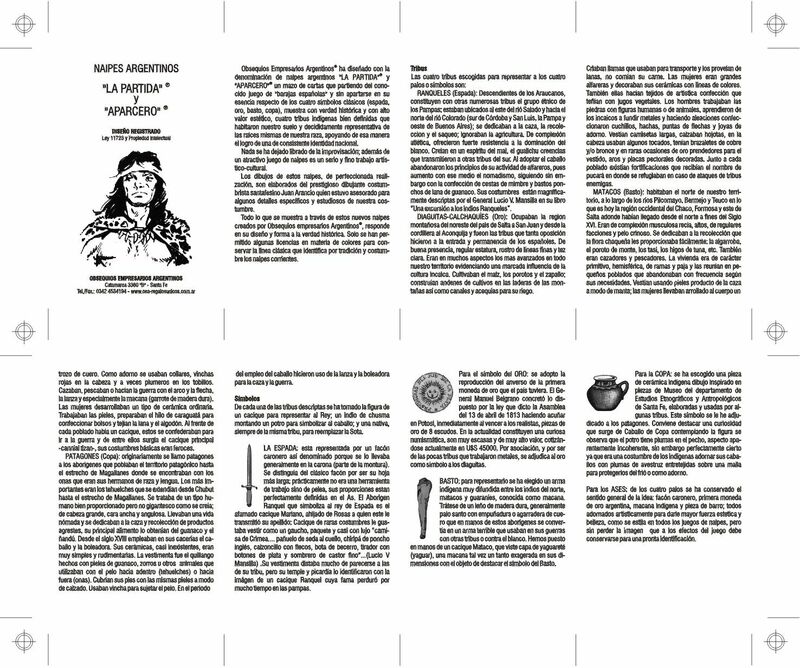 Above: Naipes Argentinos 'La Partida' y 'Aparcero' published by Obsequios Empresarios Argentinos, Santa Fe for Sancor Seguros, 2007.